The first book is Skeleton Hiccups by Margery Cuyler. 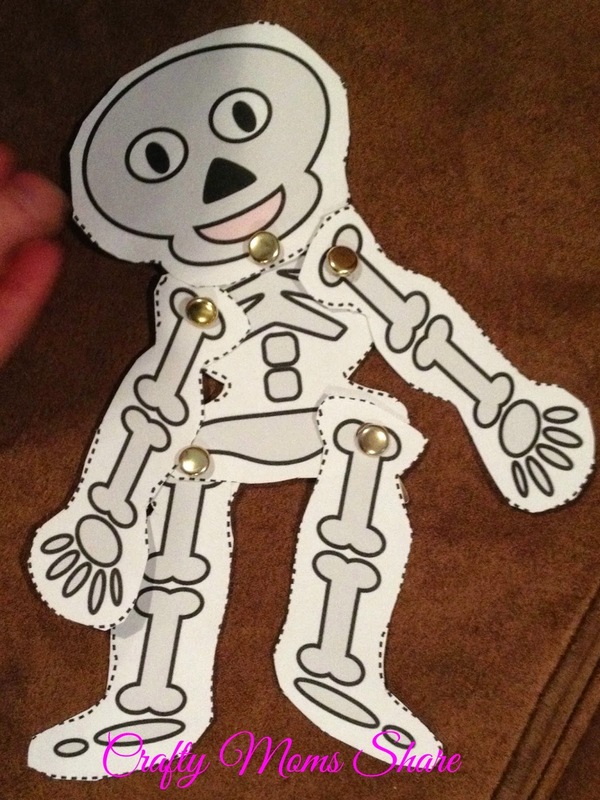 It is a fun book where a skeleton has the hiccups and tries many things to get rid of them. The second book Bones by Steve Jenkins is a book about the bones of the skeleton. 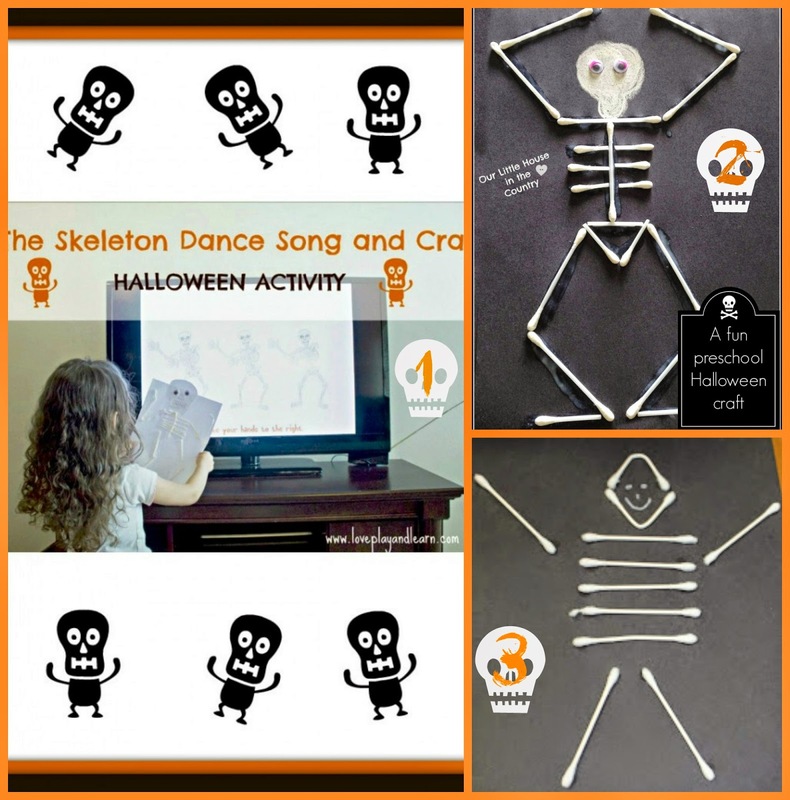 The third book is Hallween Hustle by Charlotte Gunnufson is about a skeleton who is trying to dance the Halloween hustle but keeps falling apart. 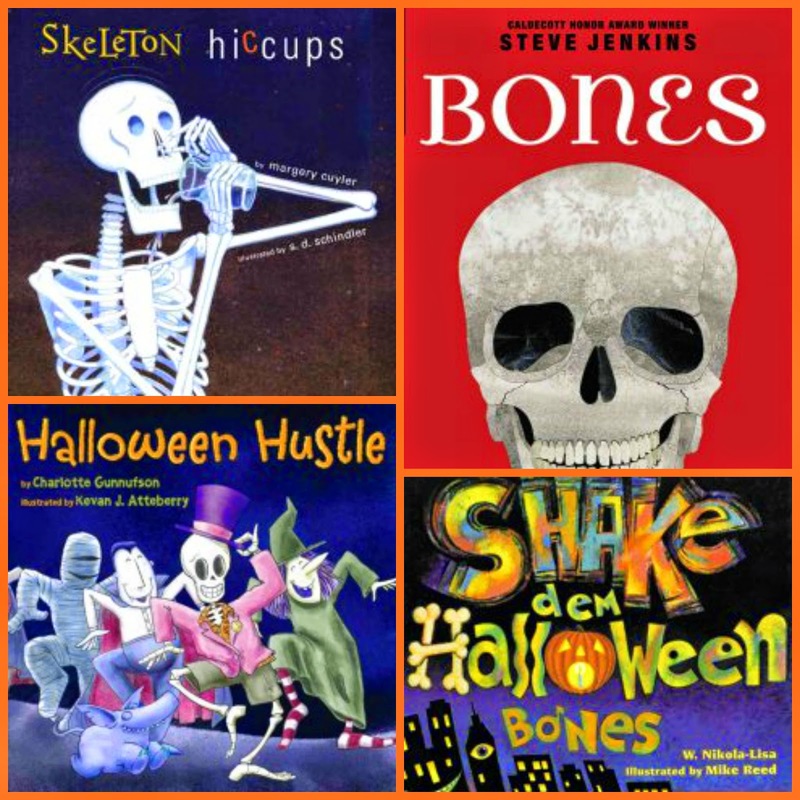 The fourth book is Shake Dem Halloween Bones by W. Nikola-Lisa which we have requested from the library but have not gotten yet. Next we did some crafts. The first craft we did was from Activity Village. 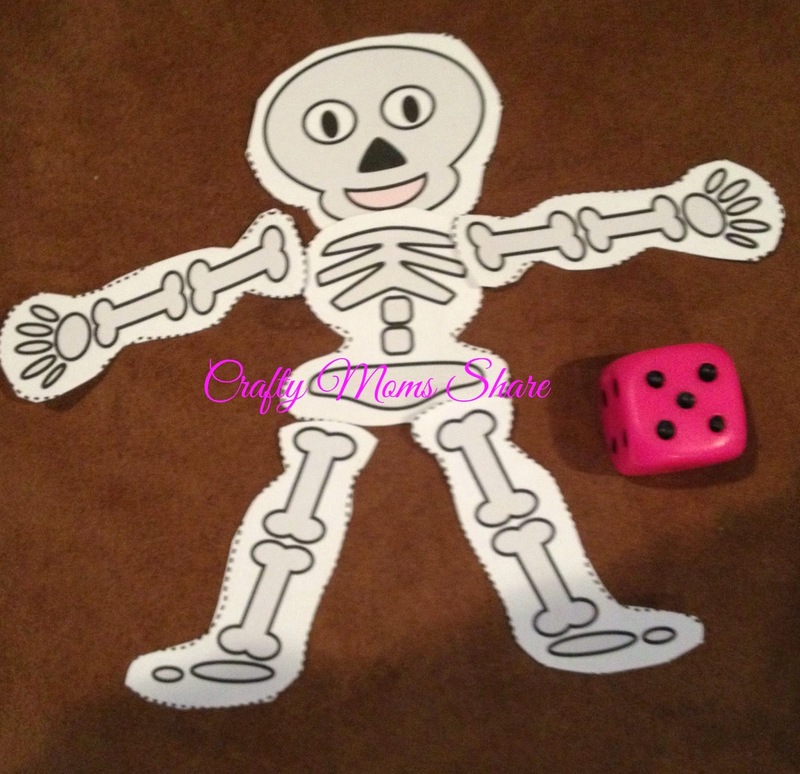 It is a printable roll a skeleton activity. After Hazel rolled and got all the parts the first time, she redid it and we attached the parts with brass brads. Now she loves to take the joined skeleton and make him dance or Shake Dem Bones. This leads us to another activity. We listened and then sang Shake Dem Bones or the Skeleton Song. I gave her the sheet from Kiboomu Kid Songs to see how they were connected. I sang the song and showed her the movements and then she tried them. 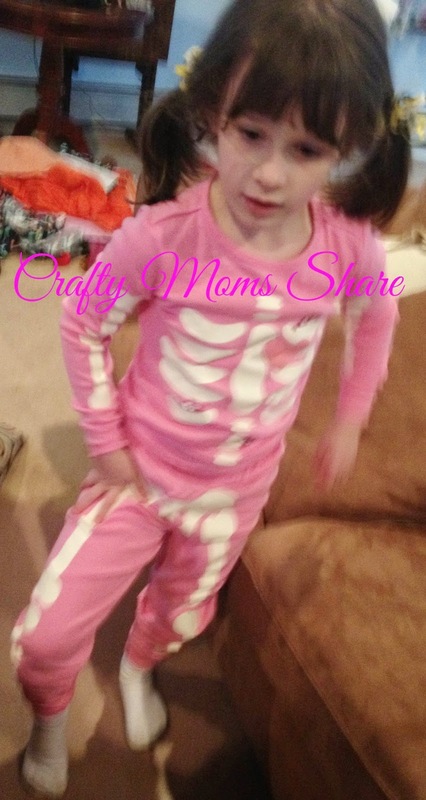 Oh, and of course she was in her skeleton pajamas!! 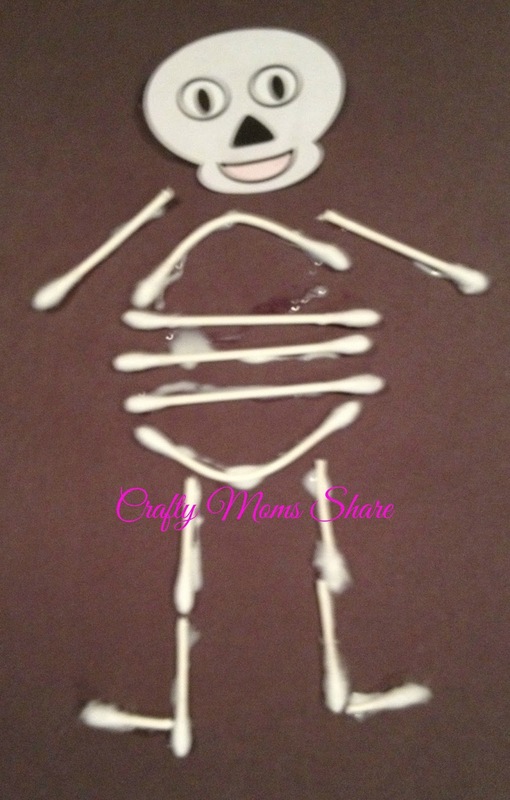 The next craft we did was to make a Q-tip skeleton. I was having issues making my own skull so we used the one from Activity Village. Here are some other versions of Q-tip skeletons. 3) From The Chirping Moms: Happy Halloween: It's Party Time! Our final craft is one I did for Hazel. I made a name skeleton. I cut out her name from a folded white paper and unfolded it. This is the torso/body of the skeleton. Then you add a head and limbs. 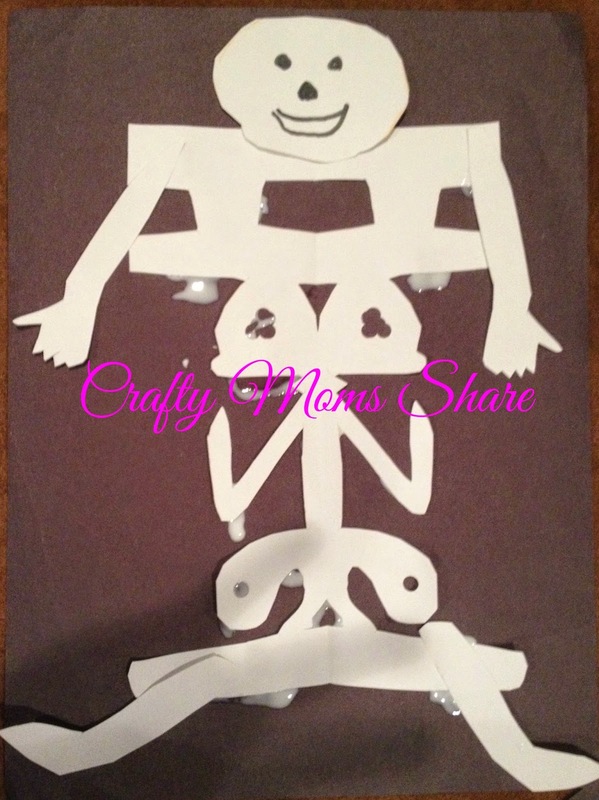 Hazel told me the body looked funny until she realized it was her name. I also had success with this one's head on my own! I got the idea from My Mix of 6: Little Bits of Randomness. 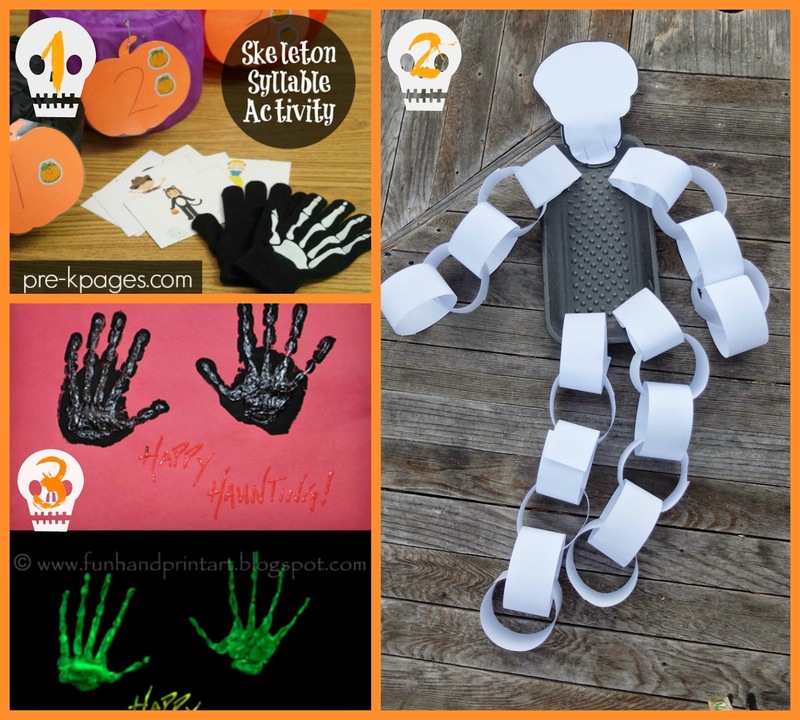 I asked the Kids Blogger Network for some more skeleton ideas and also found some on past weeks of Sharing Saturday and here are a few more. 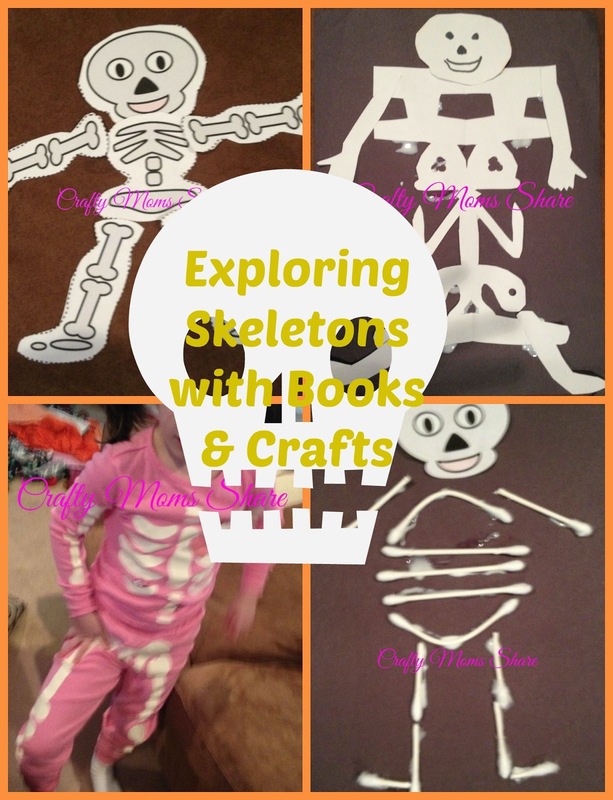 Have any more fun skeleton books, crafts or activities to share?